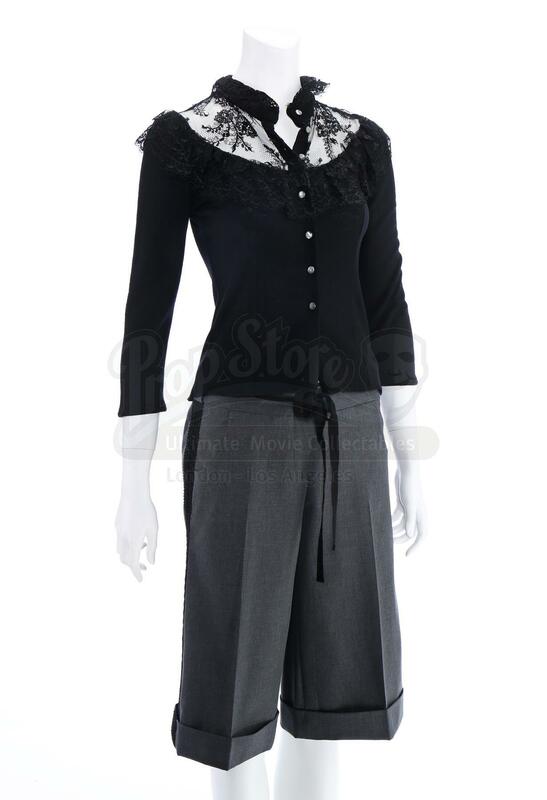 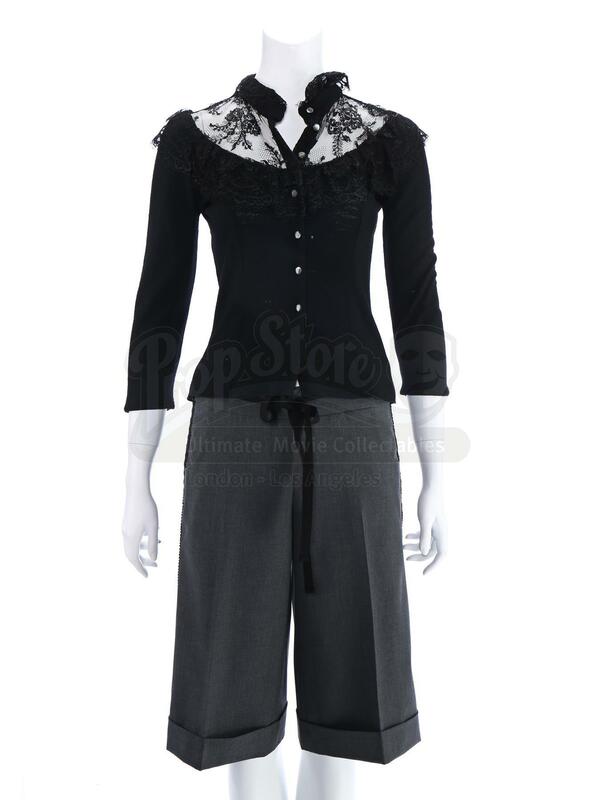 Paige Matthews’ (Rose McGowan) black cardigan and gaucho pants from the WB series Charmed. 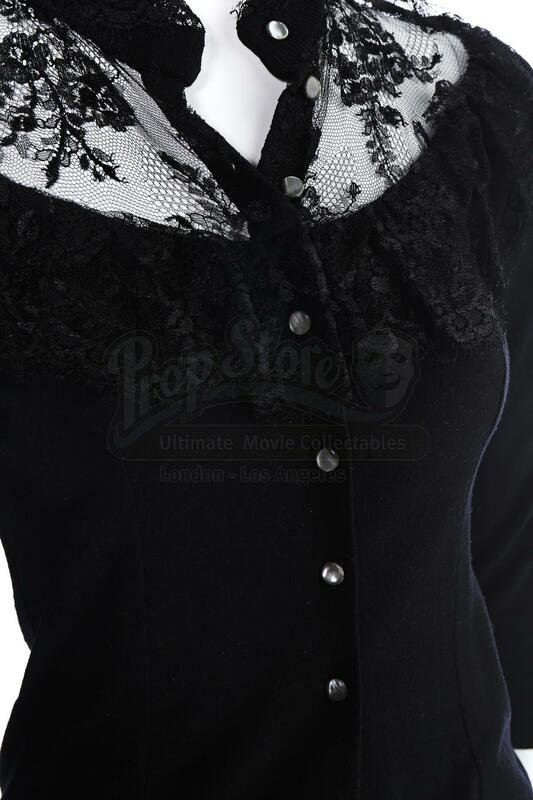 The button front cardigan features a decorative lace bib top. 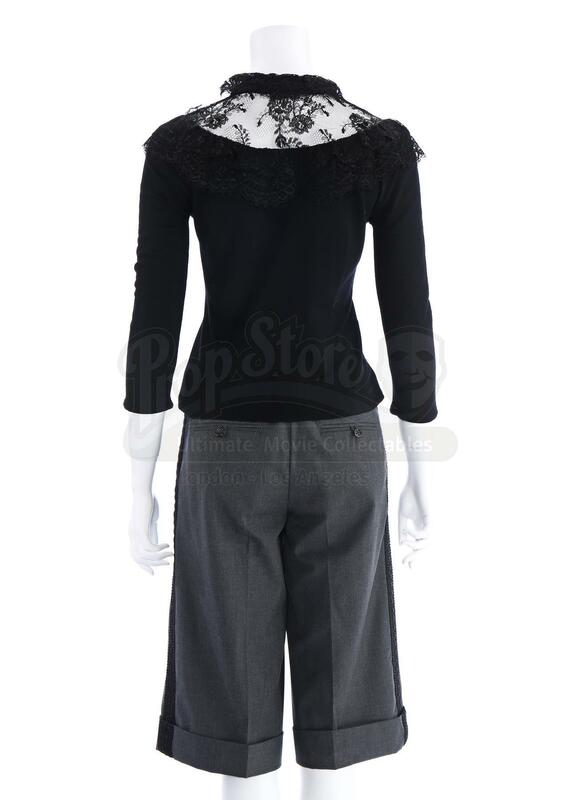 The grey gaucho pants feature black lace stripes running down both legs. 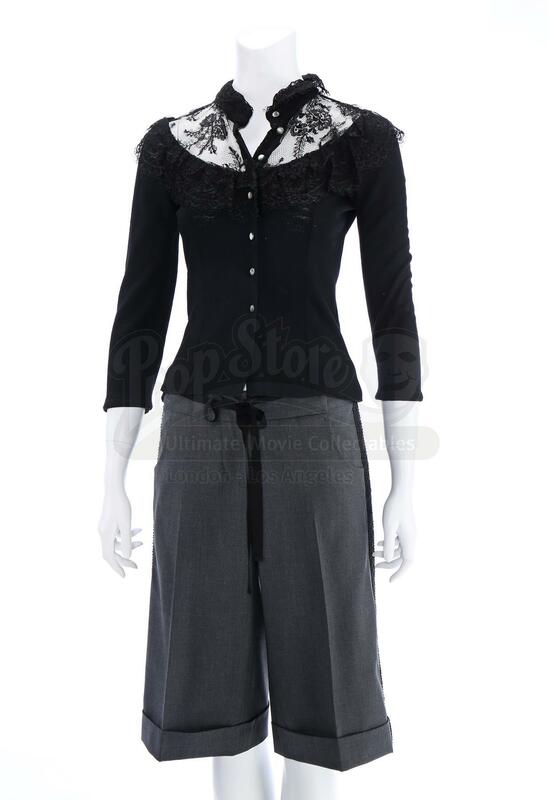 The costume is in excellent, production-used condition overall. 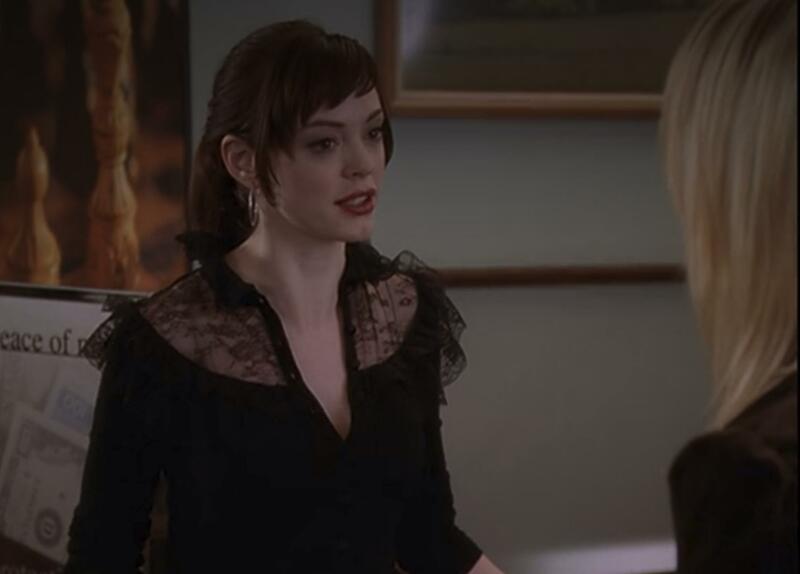 In the episode ‘Payback’s a Witch’ (812), Paige wears her black top and gaucho pants when she is held hostage in a bank by a disgruntled ex-con.